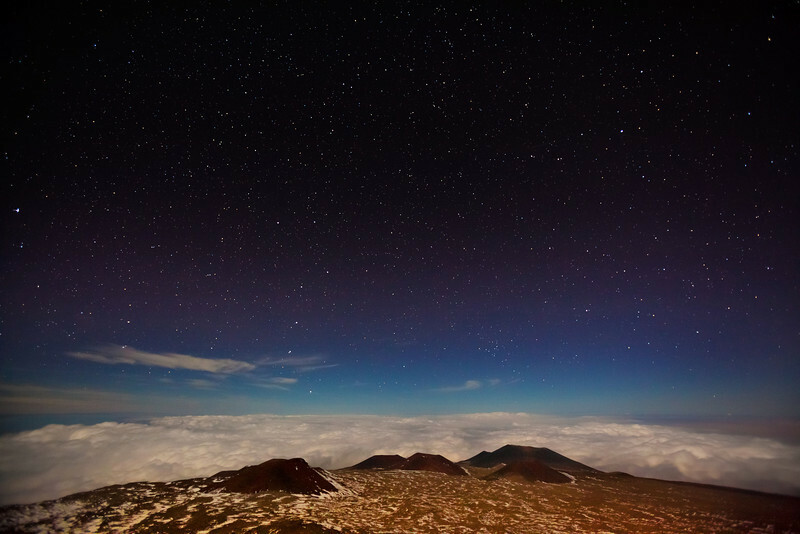 The night sky explodes with stars on the summit of Mauna Kea in Hawaii. The air up there is some of the clearest in the world, and is an astronomer's dream. Can you see the Big Dipper?